At Village Treats, we believe that a perfect event deserves perfect chocolate. Show your guests some love by thanking them with parting gifts from Village Treats. With our custom designs and orders, we can take all the worries off your hands and craft a chocolate package that captures your unique and special day! We’ll even help with your custom tag design for the boxes. Please reach out and we can talk about your big day and what a special order and package may look like for your wedding guests. For more information, call our outlet store at 613-259-5556 from Tuesday-Friday, any time from 10am to 5pm. We always have neutral-coloured boxes like Gold, Silver, Black and White in stock to match your wedding colours. If you order in advance, boxes with custom colours and messages are available. 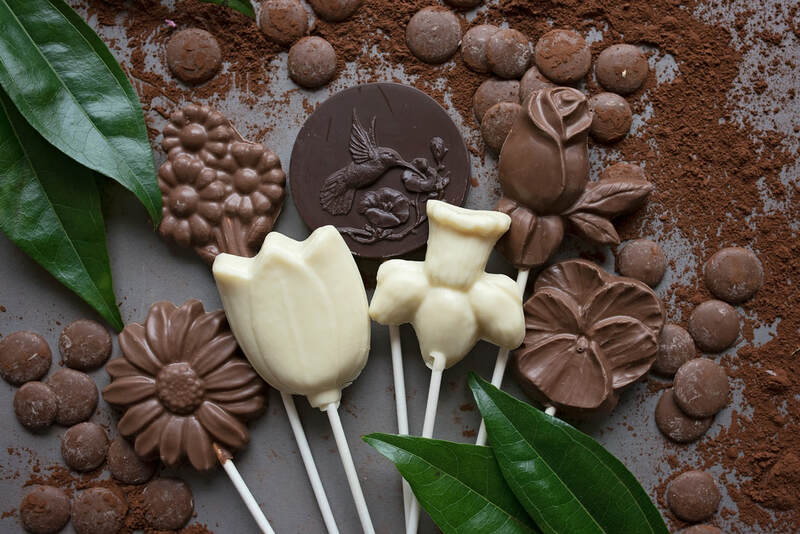 ​From your standard chocolate bride-and-groom to chocolate Batman pops, Village Treats has an amazing selection of Chocolate molds to fit your event's unique theme.